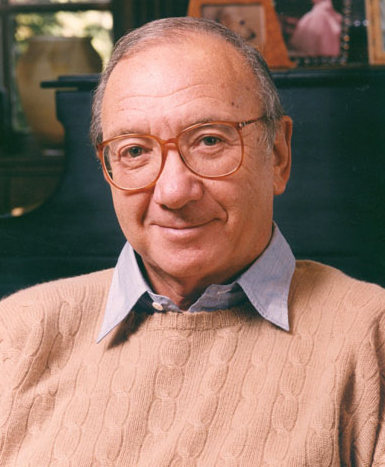 One of the American playwrights, screenwriter and author are Marvin Neil Simon who is famous as Neil Simon. He wrote more than 30 plays. He also wrote a number of movie screenplays. 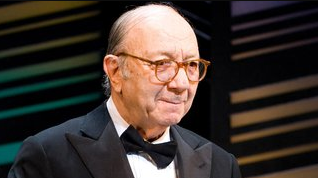 Neil Simon’s real name is Marvin Neil Simon. He was born on 4 July 1927 at The Bronx, New York. His father name is Irving Simon who was a garment salesman and mother name is Mamie Simon who is a homemaker. He has an elder brother named as Danny Simon. His childhood was difficult. He graduated from high school and soon he signed up with Army Air Force Reserve at New York University. He attended the University of Denver. Simon’s height is 1.85 m. he had a balanced and healthy body. He worked as the mailroom clerk in the Warner Brothers offices in Manhattan. He along with his brother Danny Simon wrote for the radio series named ‘The Robert Q. Lewis’ show. He and his brother were hired for the popular television comedy series ‘Your Show of Shows’. He also incorporated in the play named ‘Laughter on the 23rd Floor’. In 1961, his first Broadcast play named ‘Come Blow Your Horn’ ran for 678 performances. He was also in the play named ‘Barefoot in the Park’ on 1963 and ‘The Odd Couple’ in 1965. He wrote the screenplays for more than twenty films. In 1954, he won the Emmy Award for ‘Your Show of Shows’. In 1959, he won the Emmy Award for ‘The Phil Silvers’ show. In 1965, he received Tony Award for Best Author for ‘The Odd Couple’. In 1967, he earned Evening Standard Theatre Awards for ‘Sweet Charity’. In 1968, he won Sam S. Shubert Award. In 1969, he won Writers Guild of America Award for ‘The Odd Couple’. In 1970, he won Writers Guild of America Award Last of the ‘Red Hot Lovers’. In 1971, he won Writers Guild of America Award for ‘The Out-of-Towners’. In 1972, he won Writers Guild of America Award for ’The Trouble with People’. In 1972, he won Cue Entertainer of the Year Award. In 1975, he won Special Tony Award for contribution to theatre. In 1975, he won Writers Guild of America Award for the ‘Sunshine Boys’. In 1978, he won Golden Globe Award for Best Motion Picture Screenplay for ‘The Goodbye Girl’. In 1979, he won Writers Guild of America Award Screen Laurel Award. In 1981, he received Doctor of Humane Letters from Hofstra University. In 1983, he got American Theater Hall of Fame. In 1983, he won New York Drama Critics' Circle Award for ‘Brighton Beach Memoirs’. In 1983, he won Outer Critics Circle Award for ‘Brighton Beach Memoirs’. In 1985, he received Tony Award for Best Play for ‘Biloxi Blues’. In 1986, he got New York State Governor's Award. In 1989, he won American Comedy Awards for Lifetime Achievement. In 1991, he won Drama Desk Award for Outstanding New Play for ‘Lost in Yonkers’. In 1991, he won Pulitzer Prize for Drama for ‘Lost in Yonkers’. In 1991, he won Tony Award for Best Play for ‘Lost in Yonkers’. In 1995, he got Kennedy Center Honoree. In 1996, he received Peggy V. Helmerich Distinguished Author Award which was presented annually by the Tulsa Library Trust. In 1996, he got William Inge Theatre Festival Distinguished Achievement in the American Theater. In 2006, he got Mark Twain Prize for American Humor. He was on the board of selectors of Jefferson Awards for Public Service. Simon married to Joan Baim in 1953 and they got separated in 1973. In 1973 he married to Marsha Mason and ended in 1983. He then married to Diane Lander in 1987 and in 1988 they got separated. In 1990 he again married to Diane Lander but again got separated on 1998. Later in 1999, he married Elaine Joyce. He has three children named as Nancy Simon, Ellen Simon and Bryn Simon. And they are still together. Simon’s net worth is estimated at $10 million. In 2004, Simon received a kidney transplant from his long-time friend and publicist named Bill Evans. He died on 26 August 2018 while he was hospitalized for renal failure. The cause of his death was complications with pneumonia. In New York City, he died at New York-Presbyterian Hospital at the age of 91.